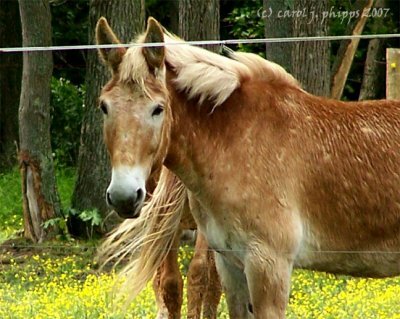 carol j. phipps | all galleries >> Galleries >> Love the Horses! > Wild Flowers are in Bloom (Indiana). Wild Flowers are in Bloom (Indiana). love the compo and all the wildflowers, so pretty. Wonderful image with the legs all close together. Lovely picture Carol, they always look at peace when grazing. 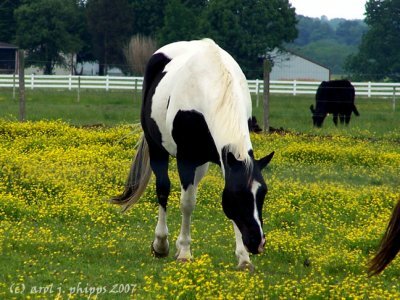 Beautiful pictures of beautiful horses! Big vote! I like this shot. So much spring feel naturally coming out. wonderful images with these carpets of blossoms! I really, really like every single one of these shots. Very well done. Beautiful carpet of blossoms for these horses. GMV. These are lovely shots Carol..they sure have some interesting colour in there fields. Sooo pretty. Nice to know that this is wild mustard. We have lots of it this year. Wonderful photo Carol. Very relaxing. They are all beautiful, Carol.